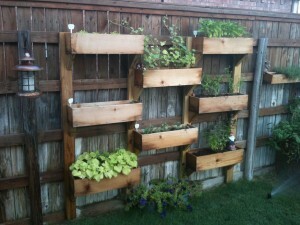 I like the way these look and love that use what is otherwise wasted space. If the fence is there, may as well use it to grow food on. I didn’t actually see any plans but the picture looks pretty self explanatory and you can see it on Ana White in a post by Drowland. Previous story 10 Ultimate Summer Popsicle Recipes !